One of the factors that helped develop CI as we know it now was its link to corporate strategy, first developed in the strategy books of Professor Michael Porter. In Professor Porter’s vision, a competitive strategy is aimed at achieving a competitive advantage. 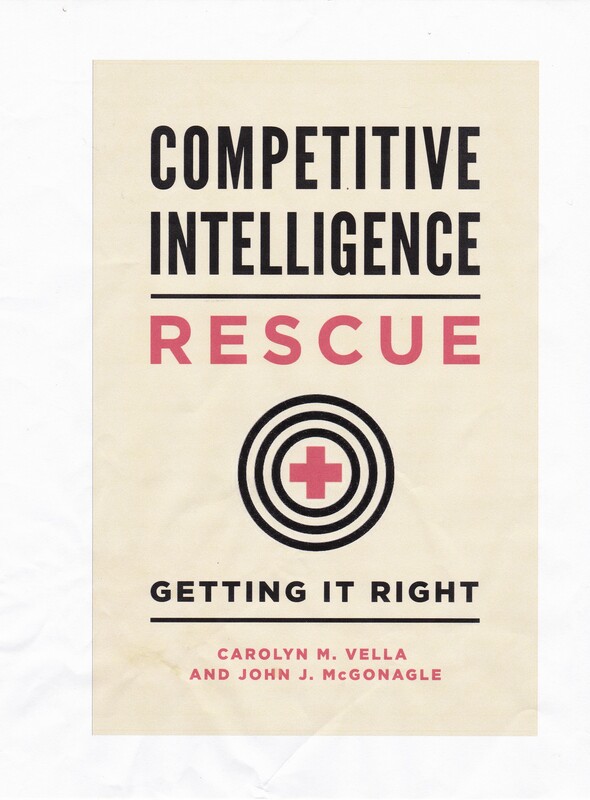 Competitive intelligence is the link that enables a firm to develop that competitive strategy, which, when executed will produce a competitive advantage. Over time, CI professionals began providing CI not only on competitors’ strategy, but on their tactics; not just on macro-level issues like long-term investments, but on micro-level issues, like pricing trends and product positioning. Regardless of the targets, it was the goal to provide CI that the end-user (or customer or decision-maker) will, well, use. But, as the end-user is not the same as the intelligence collector/analyst, CI ran into a fundamental disconnect. That is, while CI, very good CI, can be provided to the end-user, there is nothing requiring the end-user actually to use it to make a decision, much less a decision utilizing that CI. A second factor that has shaped CI was environmental scanning. There, the goal was for business decision-makers continually to review their entire operating environment: political, economic, cultural and social, as well as competitive. Since decision-makers are in the business of making decisions, and not of constantly watching, environmental scanning quickly became something which was handed off to others to do. It serves as an early warning to decision-makers of trends, facts, or events that could adversely or beneficially impact the business. Again, there is a separation of analysis from decision-making. A third factor that helped to develop CI was its adoption by technology teams in a wide variety of industries to develop and use intelligence on competitors’ pending research and development. The goal was to help develop an understanding of where their competitors were, are, and, most importantly, will go. Technology-oriented intelligence or competitive technical intelligence (CTI) grew out of this. It still enjoys the creativity, cross-fertilization, and intellectual stimulation that having CI professionals work directly with the decision-makers generates. It is one of the rare cases in CI where the decision-making and analysis often involve the same people. What does all of this mean to you? It means that the tools and techniques that will enable you to produce your own CI for your consumption are out there, and have been honed by decades of work. But, also, it means that you cannot just adopt them – you have to adapt them. Why? Because, when you do your own CI, you will be the data collector, the analyst, and the end-user. But most traditional CI is premised on a reactive, two part relationship – that is, a CI professional responding to what an end-user initially identifies as a need. But, by doing this yourself, you turn CI from being reactive to being proactive. As the decision-maker, you can get what CI you need, when you need it, and then use it almost seamlessly. Porter, Michael E. 1980. Competitive Strategy. Free Press: New York; 1985. Competitive Advantage. Free Press: New York; 1990. The Competitive Advantage of Nations. Free Press: New York.